yes, need sample photos please! After that I simply can't use 18-200 at all! By this I mean - it is NOT sharp in comparison with mentioned lenses above! It is NOT! For getting more or less enjoyable pictures I have to add clarity for about 100% and to put 'unsharpen mask' filter on the top of it! Well,I am just a serious amateur(or another words-one who loves photography very much),but it doesn't mean I have no feeling of what is good or what is bad,isn't it? I think that all the line of Nikon zoom VR is nothig but business of the company and they are playing on our consumers valets and fooling us! Nothing but this! Yes-VR is great stuff - there couldn't be doubts! But I prefer to use a tripod for having really sharp images by natural colors instead of faky VR which do bring to me more work on CS4 and at the very end just wasting my time (well,yes-increasing a creativity! Ha!)! Sorry about this note! Everyone have rights to personal opinion,but me - I am selling out this lens! It has some flaws (softness around 135 mm, overall corner softness at tele, pronounced distortion...) but it's a nice lens... VR seems effective. Very useful with my D300. The flaws were much less visible with the humble 6 mpx of my old D70s. have a look on my galleries especially my nature- and tree-galleries. This is a pretty sharp lens and I am really content with it. Together with the D5000 it is a perfect combination for the journey, because its light weighted and handsome. I have viewed quiet a number of samples put forward on this forum. I have noticed with the Nikkor 18-200mm AF-S DX VR that there is a little shimmering on the edges on the night shots. For example: on the edges of the buildings contrasting with the darker sky. Kind of almost like some sort of transparent noise. It is annoying enough to me and detracts from what would normaly be sharp and clear edges. Perhaps the Camera settings? Is noise reduction on? Are you shooting in raw? Raw is the way to go for top quality finish. I like to see some completed raw shots on this Lense. I am not convinced as yet to purchase one with this fussiness on the edges of night shot contrasts. I am not impressed with the sharpness of this lens. I have used it twice, taking over 400 photos and the result were not acceptable to me. I own both 18-135mm and 55-200 vr and they produced much sharper images with better/more contrast colors. I further confirmed my suspicion by studying thousands of photos from all three lens galleries on PBASE. You may do the same and come to your own conclusion. This is a really great lens except for its 'distortion'. Barrel / pincushion distortion is AWEFUL. If you like to take photos of buildings with reflections in water with this lens then stick to Tudor Period. I'm having some troubles with this lens and wondering if anyone else is? or if you might know what I'm doing wrong? The problem is that my photos taken in wide angle are getting blue corners/edges to them and I have no idea why this is happening. This is a new problem that didn't happen in the first 2-3 months of using this lens with my D40X but now happens continuously but only when taking wide-angle shots. Please PM me if you have any ideas of how to fix this. I'm new to photography and am quite confused and disappointed that my photos all have blue corners now. Tried this lens for about a month for house constuction, and the images of doorways were warped and distorted on the far wide angle "18mm". i was disappointed with the wide angle, but the zoom seemed very promising. i sent the lens back. Less gear to carry, no lens swapping, pretty quick focus, no problems. Honestly, I don't see what all the heavy breathing is about w/regards to the 18-200VR. By FAR the most overrated Nikkor, every sample I shot with gave images that are soft, low in contrast and high in distortion. Be sure to get DXO if you get the 18-200. You'll need it to get anything approaching the image quality from a fast prime, pro-level zoom, or heck even a less ambitious zoom like the 18-70 (which is sharper, btw). Put your $800 towards one of those instead. I would say, that for a compromise between a price and a quality this lens is a CHAMPIONSHIP ! I had this glass twice and I would never say - poor lens, or bad bokeh etc. This glass is perfectly suitable for those of photography adepts who loves 200 mm. focal length w/o spending a huge money for 2.8 version of other glasses. Try to find out a BETTER glass for a less money - quite IMPOSSIBLE, believe me ... since 1 year I had a lot of Nikkor's, Sigma's, and other lenses with Nikon Bajonet,. All Nikkor lenses are simply the best with a comparise to the other "clones" of glasses. I love my 18-200VR. It gives me a wonderful sense of freedom to know that I can cover virtually any situation with its wide range of focal lengths. It is sharp and I have never felt the resolution was insufficient in any picture I have taken. There is distortion, but I can pretty much get rid of it when I need to. There is virtually no flare. I have posted a review at the link below. It includes the Canon 500D 72mm close-up lens which works well with the 18-200VR. The review includes links to many more reviews of the 18-200VR. 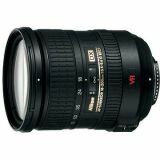 I have tested Nikkor 18-200 VR lens WITH and WITHOUT filter. I used Hoya HMC UV(0) and HAMA SKY 1A fiters. 3 shoot per each combination. Nikon D50, focal lenght 200mm, f/6.3, VR ON (normal). Pure crops, no postprocessing. What do you think about it? Certainly meets my expectations. But beware, this 11x zoom lens has considerable amount of distortions. Easily correctible with plug ins such as PT Lens. Luckily I didn't have to wait for my Nikkor 18-200 mm lens. Originally my lens was bundled with the Nikon D200 at a local camera store. My husband convinced the relunctant sales person to sell the lens with my new Nikon D80 that was to be a gift to me. It has been an excellent lens and love my Nikon D80! ...don't just take anyone's word for it - compare some of the pictures on this site from everyone, and you will see what it can do (if they post the full orig size files to see detail). After a looooong wait, I finally have this lens and I'm definitely not as impressed as various reviewers lead me to believe. There's definitely strong distortions, and while correctable, it would add way too much time to workflow to replace having to carry other lenses. I would not take this lens to shoot any architectural work. The VR is pretty good and the active mode really works, but again, there's no replacement for a steady hand. I've also almost always shot 2.8 or faster and the VR doesn't make up for fast glass. I waited 6 weeks for mine to arrive and used it almost immediately at an airshow featuring the Blue Angels. I took about 3 gigibytes of pictures at that show. I used the Nikkor 18-200mm ED-IF AF-S VR DX with a D50 in sports mode to capture the fast moving planes. It was a great day with not a cloud in the sky. When I later looked at the pictures I was dismayed to see significant light fall off or vignetting on the shots taken at 200mm with the lens wide open at f5.6. I have the same problem of "molgengen", a strong edge softness on the right side, not associated to a light fall-off. The softness disapperars only stopping down about 2-3 f/stops. Now the 18-200 is at Nikon assistance center, I hope they can fix this issue. On the other side, this is a great all-in-one lens, good Af-s speed, acceptable AF precision, and great VRII action, and a very good resistance to flare and ghosts. Check my Icelandic photos. They were taken by this lens. As you should know DSLR`s have miles less depth of field compared to compacts because of their larger sensors. They are almost like 35mm film in their characteristics so if you have 1 person in focus and the person standing next to them is a little further back they won`t be in focus if your shooting wide open ie f3.5. You should stop down to avoid this ie use a higher f/number to give yourself greater depth of field ( more in focus ) and you will avoid this. The controls are all there for you to avoid these pitfalls. You can`t just use a DSLR like a point and shoot then complain the camera is`nt doing it right. There is more ajustment than you will ever need to use but you must have the experience to know when. DSLR`s are amazing but they can`t press their own buttons or turn their own dials. This lens has qualities as well as disadvantages. It's major advantages is in first line that you have not to change the lens all the time and as an allround & all time lens it's just perfect. It is excellent in portrait as well since it has a close field deepth. This can be a disadvantage if your goal is to shoot multiple subjects that are not alligned. Here, some will appear sharp and neat and others blurred. Note that other lenses in the same range do not offer that wide apperture as well. On 200 mm it is the most lightfull lens on the market yet for that zoomrange. It's major disadvantage is allround loss of sharpness in corners and cromatic aberration that is unequal over the surface of the picture. In Photshop, when you redress CA with the raw tool, it takes it away on one side of the shot and in the mean time it apears on the other. Straigthen the CA in the center and it reapears on the edges and so on. This for sure makes it difficult to rework and remove CA effects all over the picture. Thus, more a tourist lens as a pro use item. Note that Nikon claims this to be an allround universal lens and that's just what it is. I love it as it is and I would not change to any similar lens or twinset of lenses to cover the same range. For me, the used 80-200 2.8 and Tokina 12-24 is a better deal...the trade off of image quality for convenience is not worth it for me, your better off getting a Panasonic point and shoot/ image stabilization if youre looking for a one lens solution. I too have problems using this lens for quite a while now. Isolated subject works great. Pictures taken with 2 or more subjects are pretty bad with focus. You'll end up with one in good focus the rest will be blurred. I don't have similar issues with 17-80 len as well as all other 2.8 lens. Thinking about put it on the shelve for now. I got the first batch of Made in Thailand which initially make me so disappointed. Since I feel it is not worth to paid 850USD for an Thailand made. However, after I use this lens for a vacation. I am quit satisfy with the quality. Looks same as the Japan made one. As long as you push to F8 on the wide side and F11 on the tele side, you got sharp image. Any one who interest to see the result, please visit my album. Do we have to share some shots with wounded people ??? Honestly i don't understand the hype about this lens. From what i've seen so far it performs quite well for a zoom with such a big range, but not better than a combo of two cheapo zooms like the 18-70 and 55-200 for example.Therefore it's expensive, heavy and with the compronises of all superzooms like higher distortions like others with smaller range. I agree that this is a decent lens. It appears to have nice sharpness, range, and color, but it has an important difficulty, absolutely horrendous corner sharpness. I've tried two different copies, and they both had the same problem, so bad that I thought of sending the second one in for service. This is far more important than most realize, especially when this difficulty is observable even in an 8x10 image! If all you shoot is people or isolated subjects against soft background, enjoy, it's great for this. However, it's quite problematic beyond this type of subject matter, and $749 is pricey considering the overall performance. As for me, I sold it on Ebay for a profit. I ordered mine at adorama.com, in January's first week, but paid $38 for overnight shipping.....and got it after three days.... I think I had good luck. I've had mine on order from Adorama since 12/20. Anyone else who ordered around the same time from them receive theirs yet? Thanks. I love this lens.Here are some pictures taken with my Nikon 18-200mmVR and D70. Sorry about that my galleries still under construction. I have 17-55mm f/2.8 but it's too heavy to carry specially with 70-210mm f/4-5.6. I was looking an alternative, finally I've found it. Normally superzooms are not recommended but I can't say the same thing for this lens. I definitely recommend this lens for everyday use and travel. I doubt to use my 17-55mm again. I have posted some random images taken with this lens on a D70. Used it on a photo essay (gallery below) and was quite pleased with the lens. Very sharp, smooth auto-focus, excellent VR. I own several other Nikon lenses, but this is the one I will use most often. This lens is really a winner. Sharp (at least as good as the 18-70), compact and with a very performing Vibration Reduction system that cuts 4 fstop. The photos in the following gallery were all taken with the 18-200mm VR:http://www.pbase.com/cmetivier/scene_hiver . This is a great all-round lens for Nikon dSLRs... Much sharper than the 18- 70mm kit lens in that range, and fairly good between 100 - 200mm. The VR works really well giving allowing you about 4 stops in hand held low light. VR works very good. Good contrast and sharpness. Quite a bit of distortion around 18mm (to be expected) and light fall off at 200mm. Over all I am quite happy, certainly the best 11x zoom available for Nikon DX cameras. Has anyone got this lens in US and Canada yet? Love to see some reviews and sample photos. Tried a pre-production sample at 1/15th, f5.6, 100 ISO @ approx. 100mm with and without VR on a D200. With VR enabled it was quite acceptable - a portrait in front of a bookcase and the fine type on the book spines was easily read, despite the fact that they were out of the plane of focus (and totally blurred out with VR off). Most impressive result.